I haven’t been out and about much lately, so I decided to riffle through some older pictures and found a really cute sequence from Christmas 2012. 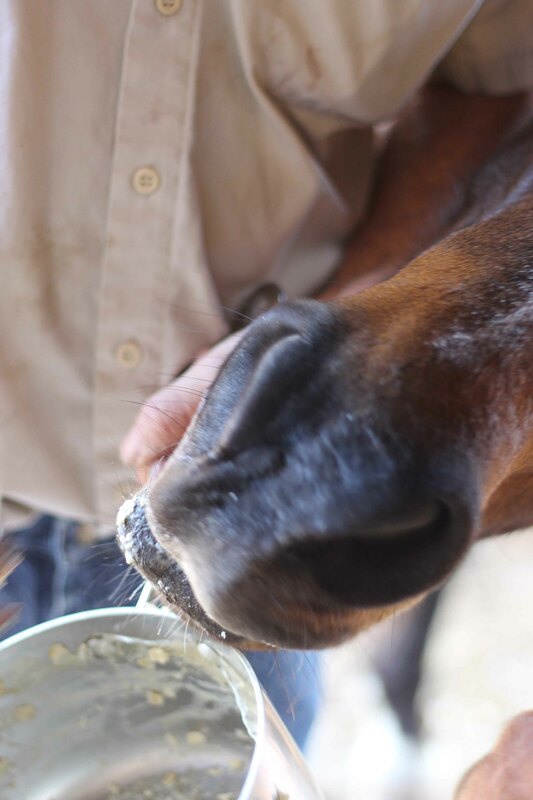 My dad had made oatmeal for breakfast and went out on the porch to feed the leftovers to two of our horses. 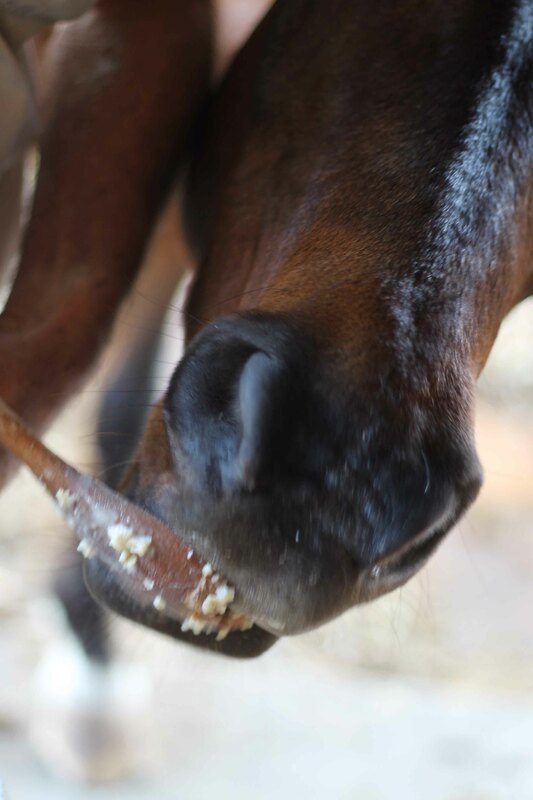 This is my horse, Morgan, eating oatmeal off the serving spoon. Well, this is her muzzle, at least. But it’s a cute one! Reaching around for the pot once she’d finished off the spoon. 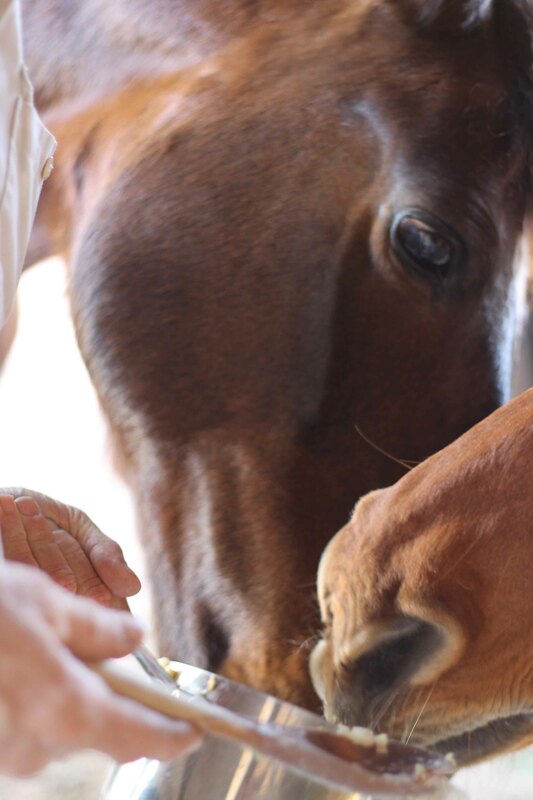 Notice how my dad is trying to strong-arm her away – he’s trying to save some so Blitzen gets her fair share. Morgan’s sneaky, though, so you have to be quick! 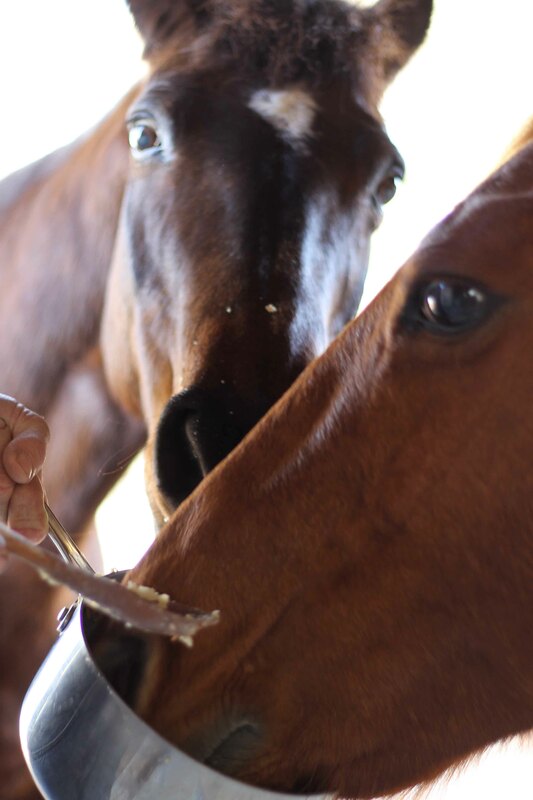 Blitzen, on the right, (commonly known as Blitzy) coming in for some of the oatmeal-y goodness. Dad has to referee here – Morgan is affectionately known as the Hoover and Blitzy’s never been too aggressive about food.